Empowered to Succeed | CeCe and Me — Evie Winter. 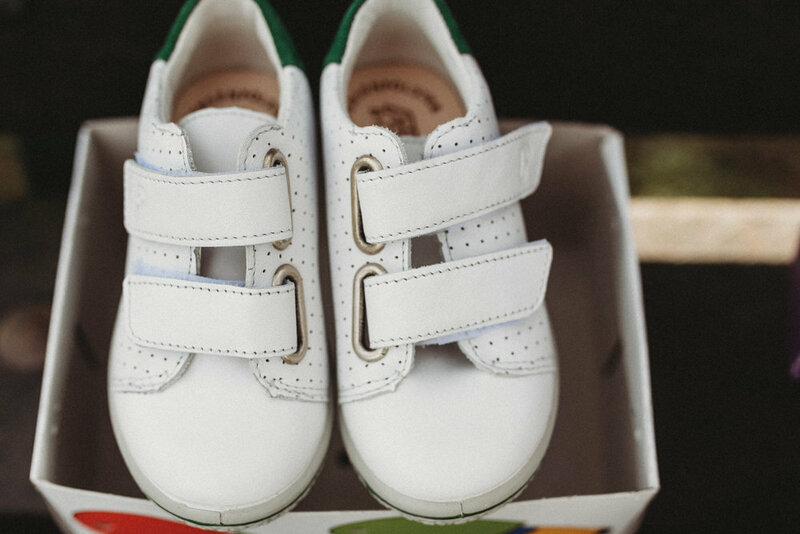 Getting the first shoes for your child is a bit of a milestone, celebrating their new walking abilities and setting them up for a life of adventure, where will their feet take them? A lot further if they are healthy feet. At the same time it is a milestone to be celebrated, buying shoes becomes something of a tedious chore to fit in. My experience has been mirrored by many of the other parents I have spoken to, coming home to find shoes don't fit properly, the child being scared of the measuring and unfamiliar environment or trying to take all the shoes off the displays. My most recent shoe finding mission had me going to three different shops and then taking the best on offer but not fully confident they were the best for my 18 month old child's feet. So in comes Sam Chetwood from CeCe and Me who has found a solution to this problem and who we look forward to booking with in future and saving us a whole heap of stress. Excellent service is at the heart of Sam's mission, which is evident as she comes to the places you will be anyway. She does pop up shops in playgroups and also for a small call out fee comes to your home (the call out fee is not more than you might pay on travel / parking to get to a shoe shop anyway). Whilst Sam has a business background, she did six months of training in fitting shoes and children's foot health, additionally she has loads of experience. This means you will come away from your visit knowing that the shoes your child is wearing are the best fit. My first visit to Clarks with Dessi was tainted when the shoes left marks and were uncomfortable for her meaning I felt guilty as well as having to go to the effort of going back to the shoe shop. CeCe and Me is named for Sam's children who are now 5 and 8, and her inspiration for the business came in her desire to combine a better work - life balance with her own experience getting her children's shoes fitted and wanting to make it easier for other parents. There is no denying that using small businesses does cost a little extra, but I'd say for peace of mind it really is worth it. To get my girls new shoes, I paid for travel, had to take a saturday morning out when we would have liked to do other stuff, and then felt disheartened about the shoes not fitting Indigo's narrow feet very well (we even received two different measurements). Sam says her greatest achievement, "When I set out on this journey I had no idea and how it would evolve, so the fact that from the initial inspiration of wanting to provide a more convenient way to shop for children's shoes, I am still going three years later and have built a brand that people trust and value, is incredible." She went on to say "I can work around family ife and be around when my children need me, just what I was aiming to achieve". I didn't need to look far within the circle of my friends to find a happy client of Cece and Me. Louise says "I've been getting shoes from CeCe and Me since my daughter's first pair! I love that Sam comes to my house and measure's my daughter's feet, and that she has a good range of high quality shoes. Totally takes the stress out of shoe shopping for your little one. I also love supporting small and local businesses". To find out more about CeCe and Me, go and explore her website - also if you would love to see her pop up at your local playgroup, let her know!